Alinco is a company known as a manufacturer of communication devices for the amateur radio bands and for business use also. We’ll cover and little bit about the business use of Alinco radios first even though they have little use to a prepper and/or survivalist. 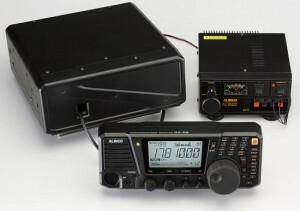 Alinco business band radios are best summed as portable and mobile VHF and UHF radio gear and power supplies as well. Their current business band radio catalog shows a good selection of handheld radios, mobile radios, and at least three different communications grade power supplies. And they also have a linear power supply available in two different models. That covers as much as we need to go into concerning business band radios. DX-SR8T/ E which is listed as an “All-mode Desktop Transceiver.” This amateur band transceiver covers 1.9 megahertz up to 29 megahertz using the following modes: SSB (which is normally referred to as “phone”), CW (the amateur radio shorthand for Morse code), as well as AM/FM. This radio is obviously a clone of the popular Icom IC-718 radio. Their next offering is pretty much an upgraded DX-SR8T/E since it pretty much shares the same model number: DX-SR9T/E. The DX-SR9T/E has one feature that the DX-SR8T/E does not have which is SDR. SDR stands for software defined radio. 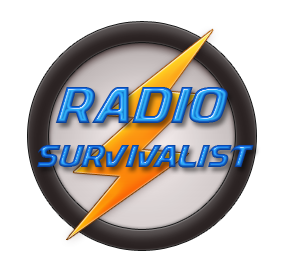 Whether or not SDR is attractive or can be used SHTF scenarios is debatable. One can only guess SDR would be a personal preference on the part of the prepper. Survivalists may or may not care about the inclusion of SDR in this Alinco transceiver. Rather than blathering on about the features of these communications receivers we felt it best to just put a link to them on Alinco’s web site. Although communications receivers aren’t all that attractive in SHTF scenarios they could be of some use in base station activities. DM-330MVE/MVT A cigar-plug socket (Max 10A), a set of Max current terminals, and 2 sets of snap-in terminals (Max 5A). DM-340MVT 2 pairs of auxiliary snap-ins along with a cigar socket output on the front-panel. DM-330FXE (230VAC) / DM-330FXT (120VAC) – switching power supply with 2 USB ports.